It is late, it has been a long day between work, another funeral, meetings with the NL English School Board, a lovely supper meeting with the Virgina Park School Council at the Red Rock Grill and back to the office again. It seems so strange to come back to such a quiet house, everyone is fast asleep - even the cats are lazily stretched out on the couch. I am just getting a chance to read The Telegram and catch-up on the news of the day. It is a bit late to put any posts in the cue for tomorrow, but one story caught my attention. 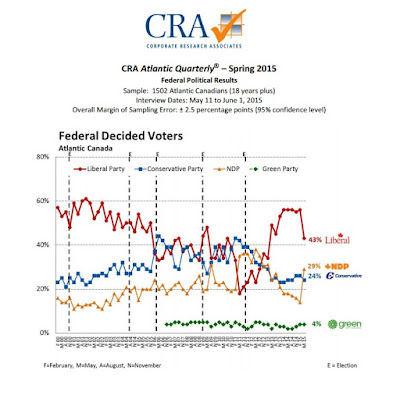 The CRA Poll showing the NDP making incredible gains in Atlantic Canada was much more dramatic than I was expecting. It is certainly bad news for Liberal Leader Justin Trudeau who seems to be on track to keeping the Liberals in third party status. The mathematics of the Liberals winning enough seats across Canada to leapfrog the NDP are just not there anymore. 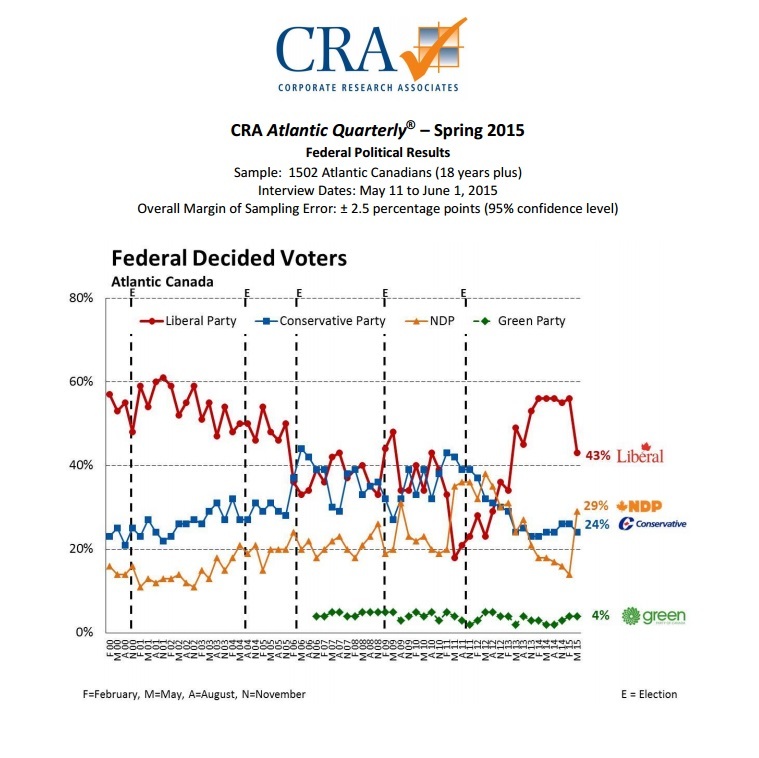 It is hard to beat back a surge in support and the NDP appear to have the momentum in this per-election period. When the Liberal stronghold of Atlantic Canada starts thumbing its nose at you it is time re-access your strategy. If the NDP finishes second or even first, the Liberal party is going to head into an existential crisis over its future. Cue the opposition coalition scare mongering commercials. The collapse of the Liberals and a surging NDP was not the outcome the Conservatives were looking for.